NEW YORK (WABC) -- Governor Andrew Cuomo announced Monday that the New York State Department of Health will offer advanced lab testing for individuals with symptoms who have traveled to areas where the Zika virus infection is ongoing. The testing will be done by the Wadsworth Center - one of only three state laboratories in the nation with the ability to conduct this kind of advanced testing - and will also include screening and confirmatory tests for antibodies against Zika and other related viruses. Additionally, the state has launched a new information hotline (1-888-364-4723) for New Yorkers to call and learn more about the virus. "Protecting the health of this state and its residents is this administration's highest priority," Cuomo said. "We're working closely with the CDC and local health departments to address potential cases of Zika virus, and by offering free testing we are helping to stay ahead of this disease and protect the public health. I encourage any New Yorkers who have recently traveled to impacted countries to stay informed and consult their health care professionals if they develop symptoms." The testing is being conducted in collaboration with the federal Centers for Disease Control and Prevention, which is providing some of the reagents to conduct Zika tests. In addition, Wadsworth and DOH's epidemiologists are working closely with the CDC to evaluate other risk groups who may also need testing. The testing guidelines are expected to evolve as more data on the virus becomes available. DOH will also issue health advisories to local health departments as new information and guidance on Zika virus becomes available. Additional information on Zika is available here. The symptoms of Zika virus infection are usually very mild, and many people might not even realize they have been infected and they recover without any issues. However, there have been reports of increased cases of a birth defect known as microcephaly that may be associated with Zika virus infection among pregnant women. Individuals with symptoms and a history of recent travel to affected countries should contact their healthcare provider to arrange testing. The most common symptoms of Zika virus are fever, rash, joint pain, or conjunctivitis (red eyes). 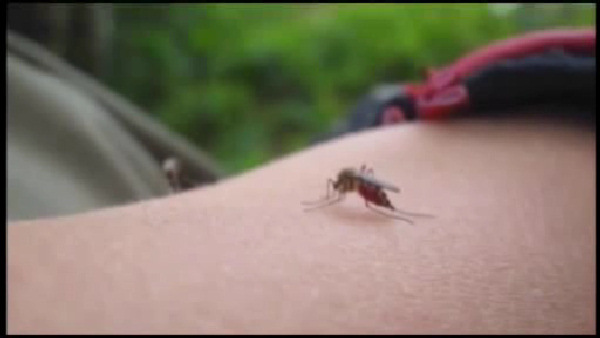 Symptoms typically begin two to seven days after being bitten by an infected mosquito. "Clearly we are most concerned about providing testing for pregnant women, which will provide them and their doctors with the information they need to make the right healthcare decisions," DOH Commissioner Dr. Howard Zucker said. "The testing will also give scientists a better understanding of the Zika virus, for which little data currently exists." There have been nine positive cases of Zika virus infection among New York State residents. All of the infected patients are returning travelers from countries where Zika virus is ongoing. Zika virus cannot be spread through casual person-to-person contact, however, it is likely that there will be many travel-associated cases of people with Zika virus infection living in and seeking care in New York. The CDC has issued a travel alert (Level 2-Practice Enhanced Precautions) for people traveling to regions and certain countries where Zika virus transmission is ongoing. See your healthcare provider if you are pregnant and develop a fever, rash, joint pain, or red eyes within two weeks after traveling to a country where Zika virus cases have been reported. Be sure to tell your health care provider where you traveled. Because specific areas where Zika virus transmission is ongoing are difficult to determine and likely to change over time, CDC will update their travel notices as information becomes available. Travelers should check the CDC travel website frequently for the most up-to-date recommendations.